Last night, I decided to “cowboy glamp” which is my term for sleeping in my tent without the fly on. This morning I woke up to a quilt which was damp from dew and ice. Still, it did its job and I stayed warm all night. 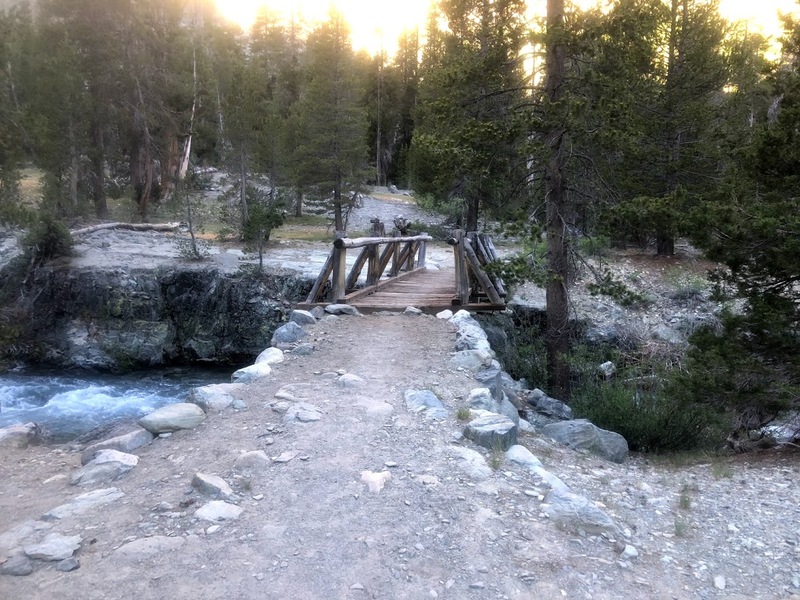 Another one Pass day but with a kicker: today would include perhaps the two most dangerous water crossings on the PCT. I encountered the first almost immediately. Evolution Creek can be so dangerous that there is actually an alternate trail upstream but hey, real men don’t take it. The stream was wide and swift but only about shin deep and I crossed with relative ease. 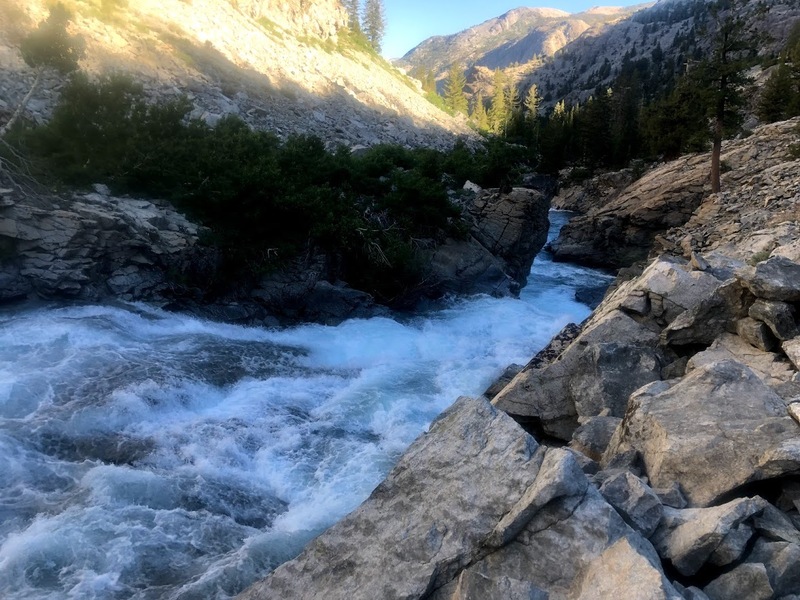 However, as I continued a short distance downstream, I could plainly see that any mistake would be lethal as the stream suddenly transitions into a series of violent cataracts, the kind that you don’t swim out of. 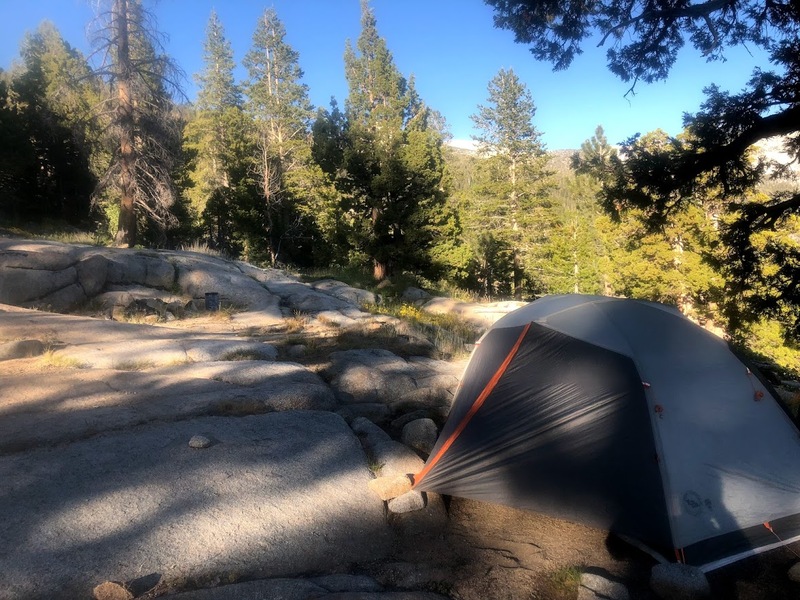 I had to get over Selden Pass which, like Muir, was about 16 miles away but my legs were dead, lacking any energy but there was no option but to push on and my efforts paid off. Three other hikers summited at about the same time but they just continued on while I lunched. 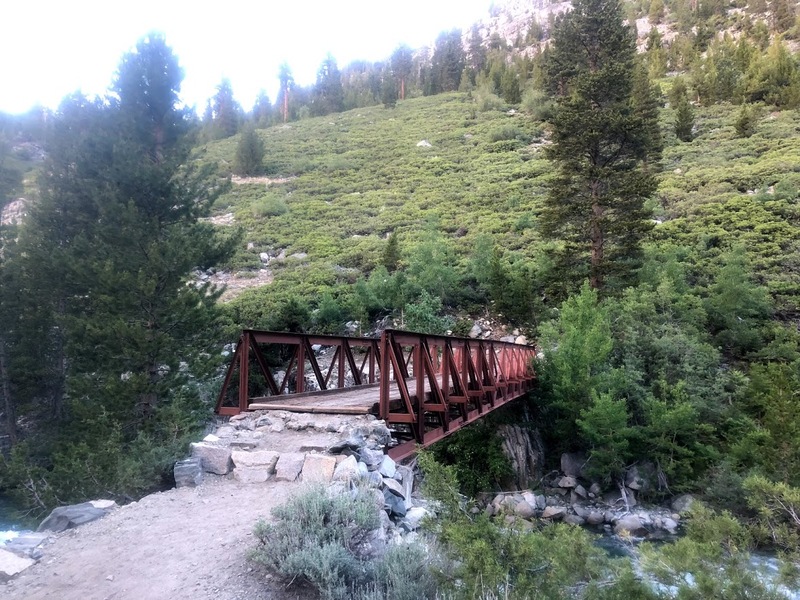 Although I had several wet crossings, the crossing at Bear Creek is notoriously dangerous and it claimed a victim just last year. This time, it wasn’t so bad and though deeper and swifter than Evolution, I am still posting this blog. I wanted to arrive at the Edison Ferry by 9:45 the next day (the ferry only runs at 9:45 and 4:45) so I pushed on to within 6 miles of the landing. The rumor was that at the landing you could get AT&T service and I wondered if it might also be possible from the adjacent mountain top. Voila! 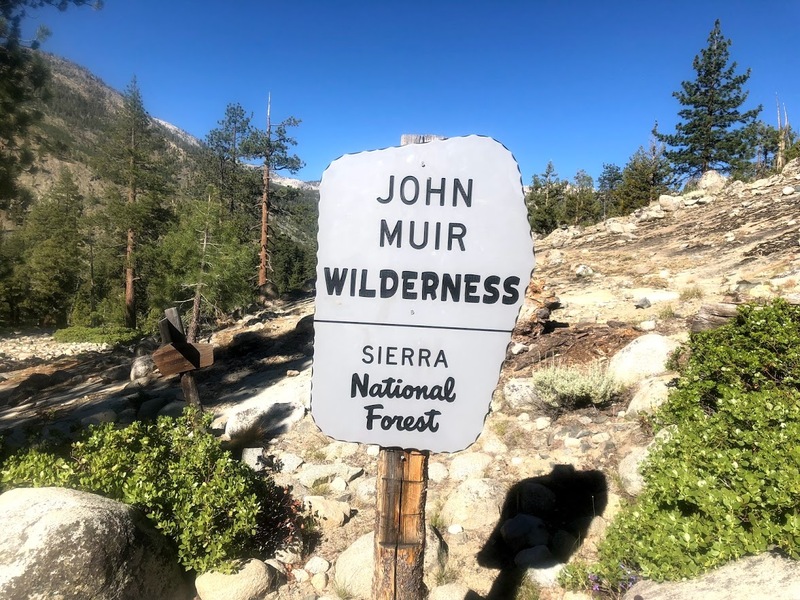 I was able to call home and check messages from the middle of nowhere and I wondered whether John Muir would be awed or dismayed.